In a large saute pan, heat vegetable broth, soy sauce or Braggs, and minced garlic. Saute the garlic for about 2 minutes. 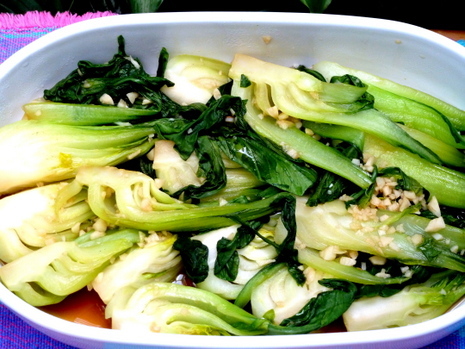 Add the bok choy, cover with a lid and continue to simmer, steaming the vegetable for 4 or 5 minutes until slightly tender. Careful not to overcook the bok choy.